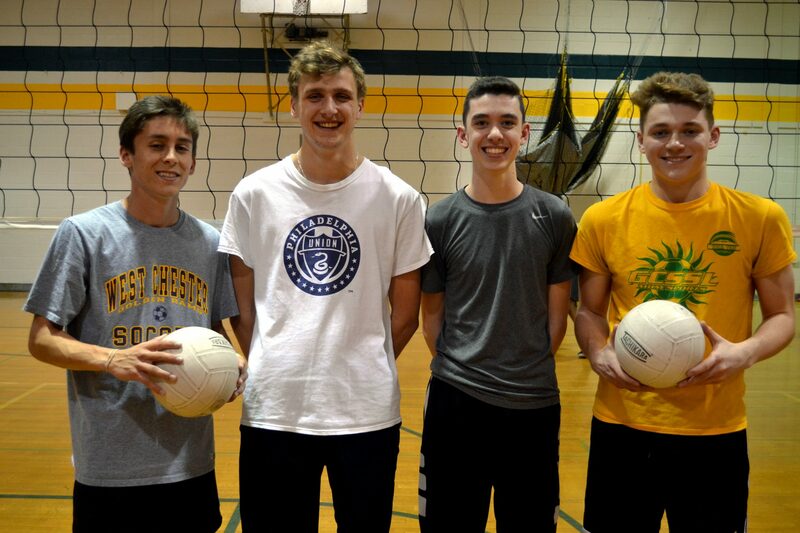 Clearview Regional High School boys volleyball had high hopes entering the 2019 season with a very experienced core of upperclassmen. However, few imagined the Pioneers would be off to their best start in more than a decade. Clearview swept through the opposition during the first half of April, starting the season with a perfect 7-0 record. Entering their April 23 meeting with Pennsauken Tech, the Pioneers were not only the last remaining undefeated team in the Olympic Conference, but they hadn’t even lost a single set all season. The strong start is a massive turnaround for a program with only one winning season since 2013. The breakout of the Pioneers can be attributed to a number of factors, but perhaps the biggest is the team’s strong chemistry. Seniors Dylan Beer and Minh Christensen and junior Ethan Miller all played together at the club level and the team’s upperclassmen have accumulated a ton of varsity playing time. The Pioneers lost just one player from the 2018 team and many of their starters have had key roles on the team since they were freshmen and sophomores. “Just being on the court (as underclassmen), playing against better teams like Williamstown when they were really good, just trying to play against them was really helpful,” Miller said. The chemistry has brought along an improved attitude and work ethic to the program. During the team’s recent losing seasons, Beer would see his teammates lose focus or get frustrated after losing a tough point. That negativity has disappeared in 2019. Asay is in his first year as head coach of the program, but previously served as an assistant and has seen how the team’s confidence has bloomed compared to seasons past. Clearview’s winning streak hasn’t come against an easy schedule. Four of the Pioneers’ seven victories were against teams with winning records, including perennial conference contenders such as Williamstown, Washington Township and Eastern. “To be able to look at the scoresheet and see Clearview 2 and those teams 0, it really shows the improvement in our team this year,” Beer added. While the Pioneers have accomplished a lot this season, Asay noted they still have a long way to go. Southern Regional has owned the South Jersey section in the recent past, having won 10 consecutive sectional titles. The Pioneers’ biggest test yet will be on April 27, as Clearview will participate in a tournament at Southern featuring a number of top programs from Central and South Jersey. Asay believes the tournament will be a good gauge for where the Pioneers are at heading into the regular season’s final few weeks.